A new poster of ‘Bajirao Mastani’ has been released. 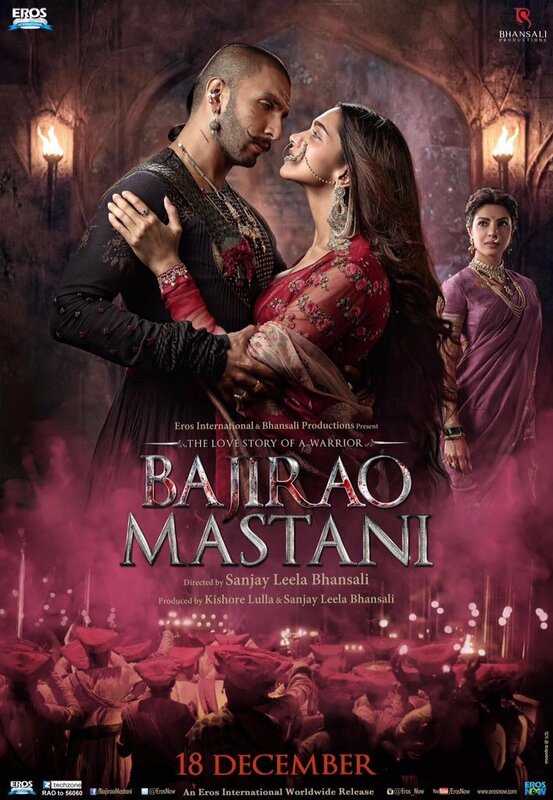 The poster highlights the love story between Maratha warrior Bajirao and his second wife Mastani. His first wife, Kashibai (played by Priyanka Chopra) looks on in the background. 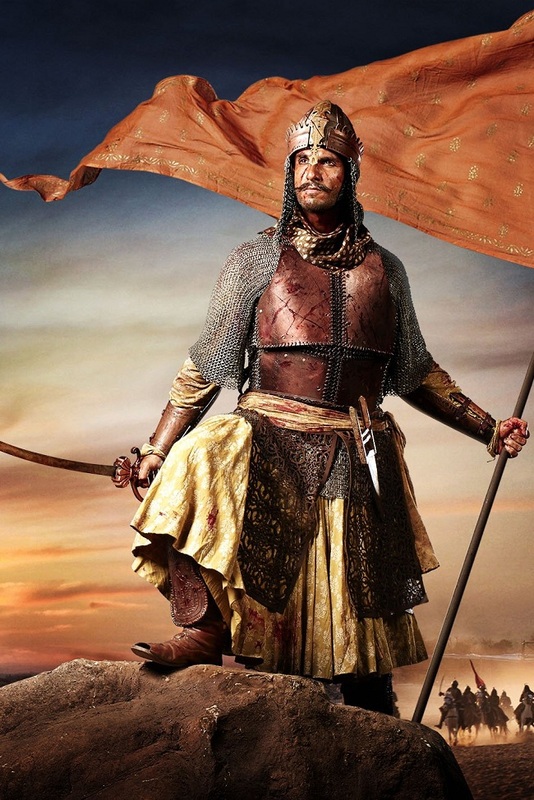 The theatrical trailer of Bajirao Mastani will be released later tonight. It will be launched more than 4 months after its 3-minute long ‘teaser’, which was first unveiled on 17th July 2015. The film releases in theatres on 18th December 2015.
art and passion is magnified in this classic royal poster. Outstanding Posters. Better than Dilwale posters. But when it comes to individual characters Priyanka is looking very very beautiful than Deepika & in the song Pingaa she totally steals my eyes. It’s very clear that Deepu is more beautiful than Priyanka But in this film Priyanka is looking more beautiful & gorgeous in the Teaser,songs & in posters also. They need a very very strong trailer this time. Teaser was hit but not get huge appreciation. Animated series is also average. Not huge Buzz all around. But only one hope is spreading all around that SLB is a class director & can’t give a bad film & ROHIT Shetty can’t give a good film. Wow! This is called a poster. Awesome. Unlie 2Rs worth mechanic showcased in a useless poster..
Now that the clash 100 % confirmed let Deepika and sanjay leela bhansali taste the result of their egos and arrogance !!! I will see if the movie crosses 50 crore in its lifetime…. not joking !!!!!!!!!! BM is turning far more interesting than dilwale. A grand song with magnificent set and short teaser. Now these posters and also the trailer coming today. This can be one of the biggest hits if it gets public appreciation upon its release. They were desperate to show their presence over Dilwale and that 3 minute long treasure was a result of that. Else there is no point of releasing a theatrical trailer when you have already unveiled the music, songs and posters. The time has now come to speak out, to speak out against the picturisation in the song and certain scenes from your movie, Bajirao Mastani. 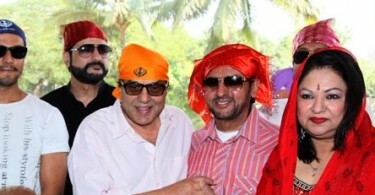 The latest song Pinga and the dance sequence which you have promoted have a lot of undesirable elements. This is not fiction, Mr Bhansali. You have portrayed real people who have been recorded in history. The Peshwas ruled for more than 100 years. Did you do any research at all? Did you, for instance, understand the life and times of people in the 1700s? Do you know and understand their behavioural pattern? Fact 1: Kashibai Saheb was suffering from tuberculosis and had arthritis. Due to this she had a limp. Fact 2: Kashibai would never get into a dance routine even if she was healthy because that was not in the culture. Fact 3: The costumes shown in the song Pinga were never worn by royal families or even normal women. The way the nauvari was draped did not show even an ounce of skin. Fact 4: Kashibai and Mastani met only once in their lifetime and that too formally. Fact 5: Kashibai was the daughter of Mahadji Krishna Joshi from Chaas and was known as Chaskar Joshi. Her descendants are still alive. Fact 6: Mastani was not a courtesan or dancer. She was the daughter of Raja Chatrasaal of Bundelkhand. She was married to Bajirao and was his second wife. Mastani’s descendants, the Nawabs of Banda, will give you enough proof of this. Proof of all the facts is available on Peshwe Gharanyacha Itihas by Mr Pramod Oak and you will find plenty more proof here in Peshwe Daptar. Bajirao was a great warrior second only to Chhatrapati Shivaji Maharaj. With this so called love story you have made a mockery of him. You have insulted the very essence of Maharashtrian families. This will definitely create a flawed image about such a great personality and his family. Mohini Karkarey is a descendant of the Peshwas and is a home-maker and a blogger. Her blog ‘Footfalls into the Maratha Era’ is a peek into the life, times and people who lived in the Peshwa Era, and Pune’s forgotten heritage.